Pyongyang Broadcasting Station, North Korea’s Korean-language radio station aimed at nearby countries, is launching a website this week, according to announcements made Tuesday on domestic and international broadcasts. The new website will be called “Grand National Unity” and will be available at www.gnu.rep.kp from February 1st, according to the announcements. That site currently holds a test page for the Apache web server. The site is the latest from the country carrying national news and propaganda to international audiences. While its adoption of the Internet for propagation of information has been slow, it has been steady and new sites have slowly been appearing. Other prominent sites include the Rodong Sinmun, the country’s main daily newspaper, and the official Korea Central News Agency. Of the four, only Voice of Korea currently has a web site. Pyongyang Broadcasting Station, with its overseas audience, is a natural second candidate for a home page. The launching of the site isn’t perhaps as much of a surprise as the announcement that it’s coming. News was first broken on Tuesday morning on Korea Central Broadcasting Station, the country’s main internal radio network. According to BBC Monitoring, which spends much more time listening to North Korean radio that I do, the 9am hour doesn’t usually carry news and is almost exclusively reserved for rebroadcasts of special announcements or a review of major stories from the day’s newspaper. So the timing it interesting as it its target: KCBS’ domestic audience doesn’t have access to the Internet. (Male announcer) From February 1st, Juche 102 or 2013, Radio Pyongyang opened its Korean-language website, Great National Unity. The address is www.gnu.rep.kp. (Female announcer) From February 1st, Juche 102 or 2013, Radio Pyongyang opened its Korean-language website, Great National Unity. The address is www.gnu.rep.kp. (Male announcer) The new website, Great National Unity, will make an active contribution to (*ing) the 70 million Koreans to turn out in the building of a unified country under the idea of by-our-nation itself. 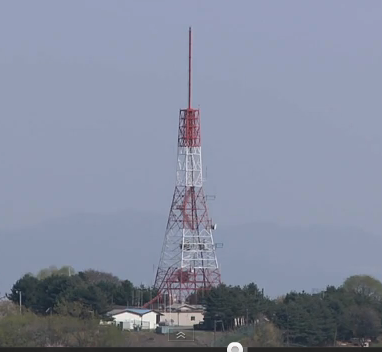 6 Comments on "Pyongyang Broadcasting Station to launch website"
Yeah, it could likely be that. Also, “You’re welcome” should have been translated to “You’re welcome to tune in” or something like that.